Darryl Eyers of Staffordshire County Council is to succeed Neil Gibson as president of council directors’ body ADEPT in June. 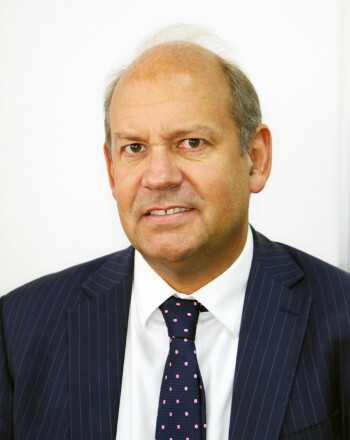 Mr Eyers, is first Vice President of ADEPT, the Association of Directors of Environment, Economy, Planning and Transport, and chair of the ADEPT Midlands Board. As director for economy, infrastructure and skills at Staffordshire, Mr Eyers’ remit covers economic development, highways and infrastructure, transport, waste management, skills for employment, and adult and community learning. He was the previously deputy director for place and head of economic planning. His role included responsibilities for economic planning, securing external funding for economic growth programmes and developing economic partnerships. 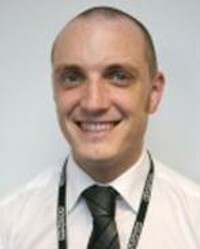 Mr Eyers joined Staffordshire in 2002 as a research officer. Prior to this he worked for the West Midlands Low Pay Unit after graduating from university. He will take over from Mr Gibson at the ADEPT Spring Conference 2019 on 27 June. Costain has announced Andrew Wyllie CBE is stepping down as CEO after 14 years. Mr Wyllie - who has taken up the presidency of the Institution of Civil Engineers - will be replaced by Alex Vaughan, currently managing director of the Group’s natural resources division. Mr Vaughan will be appointed as CEO following an AGM on 7 May 2019. He joined the company in 1992 and was appointed to the executive Board in 2006. Mr Vaughan has played a leading role in Costain’s 'transformation into a smart infrastructure solutions business through his leadership of the development and growth of the Group’s consultancy and technology services', the company said. Alex Vaughan said he looked forward to 'continuing our strategy as we enter a new era of opportunity for Costain'. Mr Wyllie leaves behind some mixed results from last year. Revenue tumbled by over £200m to £1,489m from £1,728m in 2017 'reflecting a lower level of capital project activity in the year', leaving a net cash balance of £118.8m compared to £177.7m in 2017. Profit before tax fell from £41.8m in 2017 to £40.2m however underlying operating profit was up 7% to £52.5m from £49.1m. It also boasted a record order book 'due to differentiated strategic positioning' of £4.2 billion compared to £3.9 bn the previous year, with over 90% repeat business. AECOM has appointed Mark Southwell as managing director, Civil Infrastructure for the UK and Ireland. He will start his role in early March and will be responsible for all aspects of AECOM’s Civil Infrastructure business in the UK and Ireland, which includes the Transportation and Water, Ports and Power teams. Mr Southwell (pictured) is a civil engineer by profession with 30 years’ experience in the transportation sector working as a client, in consultancy and as a contractor. 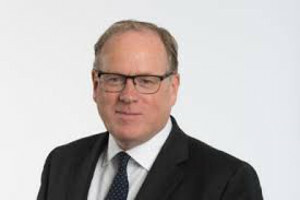 He joins AECOM from Jacobs where as a vice president he was responsible for leading around 900 people in the Rail and Geotechnical unit, delivering rail and tunnelling programmes including HS2 and Crossrail. David Barwell, AECOM chief executive UK and Ireland, said: ‘We’re delighted that Mark is joining AECOM. His strong market presence and passion for organisational development will be a real asset for our integrated Civil Infrastructure business. 'His initial focus will be to ensure we have a clear and executable vision and appropriate growth strategy for the UK and Ireland.